The babbling chorus of opinion on this year’s best movies was briefly hushed this weekend by the Directors Guild, which whipped out its bullhorn and demanded quiet and that special yerba mate it likes. 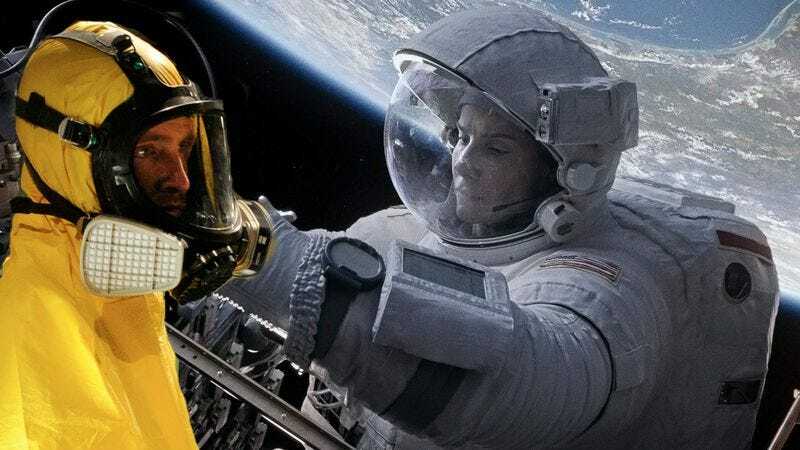 It also announced that Gravity director Alfonso Cuarón was most deserving of this year’s Outstanding Directorial Achievement in Feature Film, presumably owing to the fact that he filmed in space. “Sorry, Steve McQueen, I know it must have been really arduous shooting in Louisiana,” Cuarón didn’t say in his acceptance speech, because he is a humble man and also he didn’t actually shoot in space. But for the technical accomplishments that made it look like he did, he’s now joined a lineage of past DGA winners who went on to take home the Oscar—like The Artist’s Michel Hazanavicius and The Hurt Locker’s Kathryn Bigelow—and others who won but weren’t even Oscar nominated, like Ben Affleck last year. In other words, by this point you should just forget about trying to predict what will happen at the Academy Awards, and make all of your Oscar pool selections based on who would win in a fistfight. Elsewhere, Jehane Noujaim continued to build Netflix’s rep with a Documentary win for The Square. On the TV side, Vince Gilligan collected his first—and now last—award for directing Breaking Bad, Beth McCarthy-Miller similarly picked up one final award for 30 Rock, and Steven Soderbergh continued to make all who passed on distributing Behind The Candelabra look like fools by adding yet another trophy to its haul. And after seven nominations for directing Saturday Night Live episodes dating back to 2006, Don Roy King finally won one for an episode starring Justin Timberlake. None of these people are technically up for the Oscars either, though really, you might do just as well betting on them.